Gary’s Fence, Inc., founded in 1992, is a local and women-owned business. We are proud to be the Tidewater’s premier choice for fencing, committed to quality workmanship and a personal level of service. As residential and commercial fencing specialists, we can help you improve the appearance and security of your property and enhance your privacy. Our products are selected for their quality and durability and include wood, chain link, vinyl, and aluminum. We customize every fence that is installed and allow each and every customer to enhance the construction by adding their own "flare" to the design. Our employees are all background-checked and drug-screened, and are extremely professional. We offer free estimates and warranties. Gary’s Fence, Inc. is an A+ Accredited Business. An accredited business must build trust by establishing and maintaining a positive track record in the marketplace, honestly represent products and services, be transparent, honor promises, be responsive, and embody integrity. 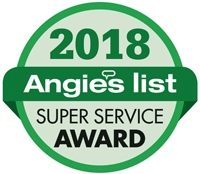 At Gary’s Fence, Inc., we are proud of our excellent reviews on Angie's List. Gary’s Fence, Inc. was named one of the top three fencing contractors in Chesapeake VA by Three Best Rated.